Slipcase only : Potomac Supplies, offering everything stamp collectors need! Black, This matching slipcase for all album binders protects your pages from harmful light and dust. 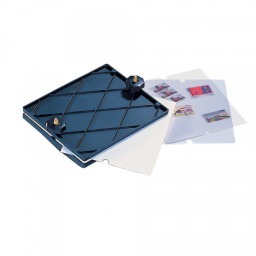 Blue, This matching slipcase for all album binders protects your pages from harmful light and dust. Brown, This matching slipcase for all album binders protects your pages from harmful light and dust. Green, This matching slipcase for all album binders protects your pages from harmful light and dust. Red, This matching slipcase for all album binders protects your pages from harmful light and dust.